Kotler in his book Marketing 3.0 states that a brand possesses great character when it becomes the symbol of a movement that addresses problems in society and transforms lives. In my mind Unilever as an organisation has the potential to become symbolic of a brand that has started a movement that puts society ahead of shareholders. That is one hell of a movement! 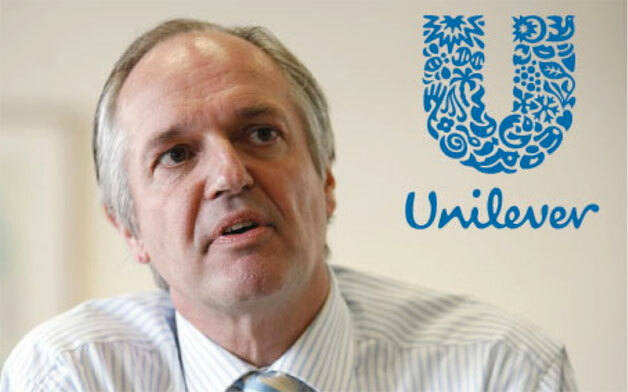 When Paul Polman took over as CEO of Unilever in 2009 he did away with earnings guidance and quarterly reporting. He is about a longer term vision and the desire to develop a business model aimed at contributing to society and the environment instead of taking from them. Polman’s view is that it is myopic to be driving shareholder wealth at the expense of everything else and that it is better to attract a shareholder base that supports your strategy , not the other way around. In a recent interview Polman gave to the Harvard Business Review (extracts published in the Financial Review’s Boss magazine July 12) he said that he saw the GFC as a crisis of ethics and that it had made a lot of people think differently about how society needs to function. He said…. In a world where a billion people still go to bed hungry and a child dies of starvation every six seconds, suggests to Polman that capitalism in its current form needs to change. His own response to this need is to set an extremely ambitious goal for Unilever of doubling revenue by 2020, while halving the company’s environmental impact. Polman is clearly not a head in the sand kind of lad, and his refreshing take on corporate life is nothing short of inspiring. … Nevertheless, I’m glad to read that other CEOs are questioning their understanding and engagement to free markets and their civic responsibility as a member of our world society.